Home > VOEZ > Explainer: What makes a rhythm game a great rhythm game? Explainer: What makes a rhythm game a great rhythm game? One of interesting things about games is that we often talk about “great” examples of the genre, without ever really defining what makes it such a great example of the genre. But what makes a game of a given genre great is never as simple as it might seem; if it was, every developer would be able to tap into the same formula and would be producing the same quality games... there would be no bad games. So, in a bid to try and better understand our favourite genres, we’ll run a series of explainers over the next couple of months, looking at what makes an example of a given genre a good one. First up, we’ll have a look at the rhythm game genre which, thanks to Hatsune Miku, has become one of my favourite genres over the past couple of years. I'm really not exaggerating about that, either. Until I played the first Project Diva game on PlayStation Vita (my introduction to Miku), I basically never played rhythm games. Now I devour every new example of the genre at every opportunity. 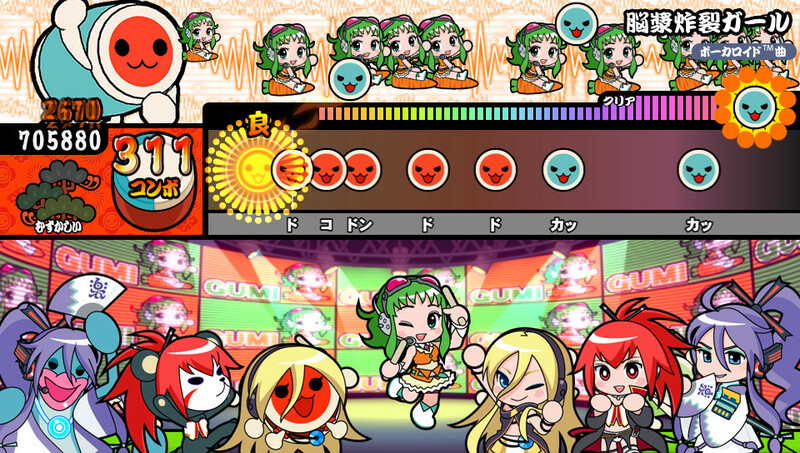 It would be easy to chalk the success of the rhythm game genre up to its music. And of course that is an essential component; a rhythm game without a good soundtrack is a rhythm game that people are probably not going to want to play. But the soundtrack is not everything that a rhythm game needs in order to be quality, either. The way I see it, there are three other core factors that determine the quality of a music game, and I would argue that a really good music game can’t lack for any of these if it has any hope of being remembered as a genuine classic of the genre. People often have a perception that rhythm games are difficult; Hatsune Miku games, for example, are infamous for being infuriating on Expert difficulty. But it’s not the only one; in Japan the Taiko games take real perseverance to be able to start tackling the more difficult settings, and in the west the Guitar Hero games have some notorious tracks that know how to really challenge a player’s skills. And let’s not forget about the Rhythm Heaven games, which just love punishing players that are even slightly out of beat with the action. The thing is, though, these games aren’t actually difficult; they’re just highly choreographed, and there is a difference there, because no one would play a rhythm game that was difficult for the sake of it. A good rhythm game mandates button presses to specific, logical, times within the music, and the point should be that in playing the rhythm game you yourself feel like you are part of the performance and playing an instrument. The benefit to this is twofold: firstly, in feeling like you’re an active participant in the music creation process, you are more fully connected with it, which in turn helps the gameplay feel less arbitrary, more meaningful. Practically, in choreographing the music to the gameplay in such a way that players understand the connection on a primal, unconscious level, the developer is able to up the raw difficulty of the action without it feeling unfair. When I play a Hatsune Miku track, I get better the more frequently I play it, because I understand the music better and execute the button presses with more confidence, to the point where I instinctively know when I need to press a button, even if I'm not really watching the icons on the screen. It’s not that I’m getting better at the game, but rather I’m just becoming more practiced with it, as what happens as I learn to play a piece of music on piano. And perhaps that’s the best way of summarising this point; a rhythm game that doesn’t emulate the experience of learning a piece of music to play on piano or similar is a failed rhythm game. In many ways the rhythm game genre remains one of the few holdouts in a game development industry that has become obsessed with bloat, and throwing in hugely overproduced gameplay modes and endless features into every game. The rhythm game typically maintains that old arcade approach to game design; give players the objective of scoring points across one or two different core play modes, and let the action be entertaining in itself. Take Hatsune Miku: Future Tone, for example. It’s a huge game, offering some 40 hours in raw content alone if you were to play through each track in its 220-strong track list. But it has a single play mode which is that rhythm game. Other classic rhythm games might throw story modes in; Theathrythm Final Fantasy, for example, or Elite Beat Agents, but those story modes tend to be functional filler in between the rhythm action, and even then those modes won’t be supplemented with a dozen or more other ways to play. You’ll get the story mode and a free play mode, and that’s about it. This might sound like a problem, but what it actually does is focuses the game in on what the game does well; encouraging players to want to play well. Undistracted by other features, rhythm games set players a challenge of scoring a perfect score on a track, and that’s something they’ll generally need to play over and over again to achieve. The rewards are in filling their score sheet with “Perfect” ribbons or bettering high scores. One of the things that hurts the arcade game as a genre is when developers lose sight of the fact that people come to arcades for quick gratification and simple loops. The good examples of the rhythm game genre understands this implicitly and hone the sense of success and value from the game coming from mastering those simple loops. Because a good rhythm game is so simple in its gameplay loops, it needs something outside of the gameplay to encourage players to see the game as having greater depth than a “simple” music game. Enter characters. 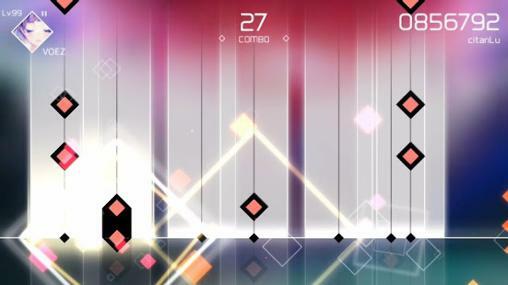 By way of example; rhythm games such as Cytus, VOEZ and Superbeat: Xonic are exemplary at both points one and two above, but, because they lack a distinct personality or character to them, they will always be ultra-niche and exclusive to the rhythm game diehards when compared to the likes of Theatrhythm Final Fantasy (which also appeals to Final Fantasy fans courtesy of its aesthetics) and the Miku games (which appeal to a widening audience for the character as much as her music over the world). 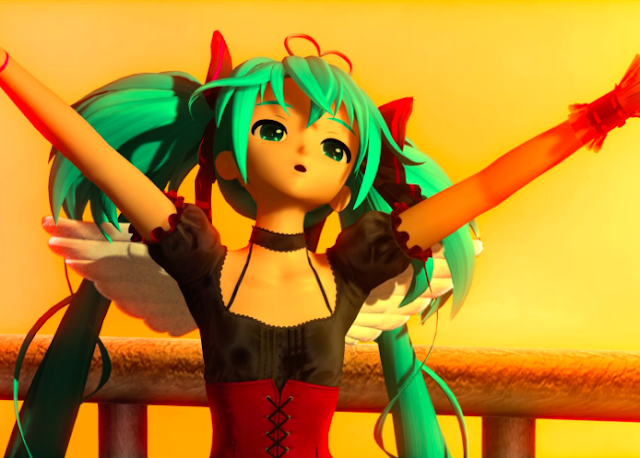 Characters help to add context to the music; with a number of Miku tracks, for example, I found myself enjoying the music track a great deal more once I had seen it visualised in the context of the game’s music video clips. 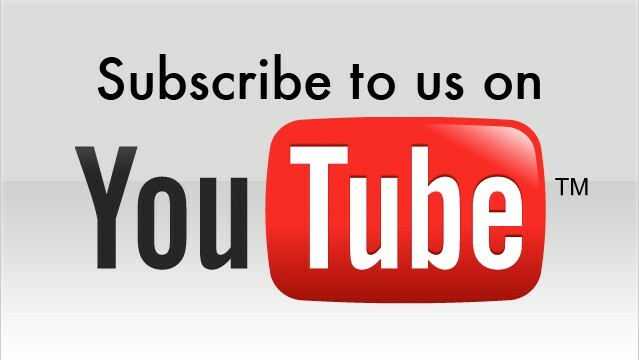 Music is also a very abstract thing, and being able to visualise it in more conventional terms is effective in getting you to emotionally engage with the subject; that is the fundamental reason music video clips even exist, and it works as effectively with rhythm games. So I posit that a rhythm game could never break beyond the most niche of audiences without central characters and “video clip-like” presentation. As much as we might criticise that those video clips distract us from focusing on the game itself, it’s the fact that we’re able to be distracted by them – that they’re impactful enough to drag us away from the abstract icons flying around the screen – that elevates those games beyond being “just” another rhythm game. 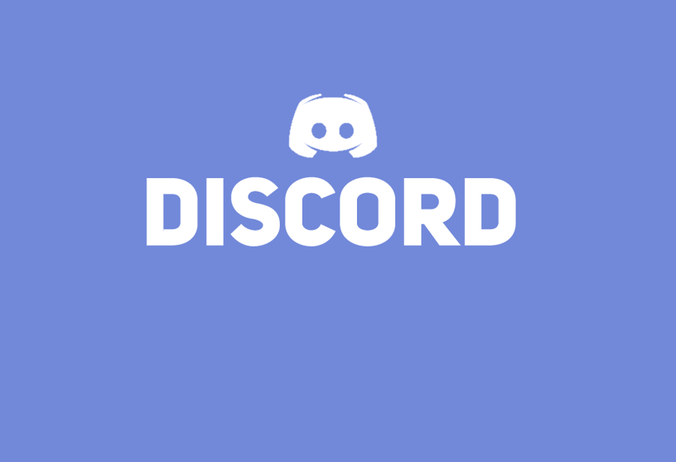 Basically, with rhythm games, we want something quite contradictory; we want a game that is very much a “back to basics,” twitch arcade kind of action, that keeps the rules and gameplay loops as simple as possible. At the same time, we want something deceptively deep; we want a game with a compelling sense of character, and one that is able to contextualise the music in a complex and visceral way. And so, despite what many might assume, when it comes to rhythm games, simply having “good music,” is nowhere near the only requirement of the genre. Title : Explainer: What makes a rhythm game a great rhythm game? 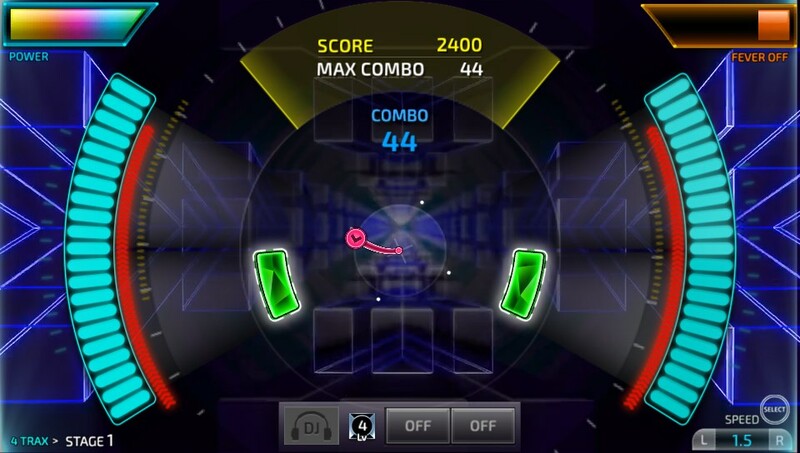 Item Reviewed: Explainer: What makes a rhythm game a great rhythm game? 9 out of 10 based on 10 ratings. 9 user reviews.